Here we were congratulating each other in California because we elected a former governor, Jerry Brown, who actually understands and supports the deep civil rights issue of equal access to excellent education for every child. (I know, such a feel-good '60s concept, but 55 years after Brown v. Board of Education, shouldn't SOMEONE be saying this out loud?) Jerry is an old-school infighter, a former Jesuit and two-term governor whose father was governor before him; he's smart, he's savvy, and he's up against the fight of his life. It is one of those grand coincidences of cosmic time that Michelle Rhee, the front-man for the moneyed interests who would turn our public school system over to venture capitalists, is engaged to be married to the mayor of Sacramento, which just happens to be the capital of California. So Michelle and Jerry will be neighbors, and the lone Democratic governor to win the most recent election is surely number one on the hit parade of those same "reformers" who can't wait to get in here and take over California schools to help our kids better serve the economy (or their economy, I forget). No, that's right, the moguls haven't figured out yet that lighting the intellectual fire for every kid would do more than any other factor to boost the American economy and upgrade our way of life far beyond that tired Sputnik level that the President mentioned just this week. So, let's call out Michelle Rhee and see what she's really made of, shall we? In other words, help this heavily populated and heavily broke state (Thanks, Arnold, you did a great job . . .) create a Renaissance for public education right now, no waiting! After all, changing the schools is going to require MONEY, as every reputable charter operator has discovered, including Geoffrey Canada who has eked out millions from his supporters for this very effort. Oh, even better, let's take that charter concept to its logical next step! Michelle, with your national platform, help California become a CHARTER STATE, where all the inhibiting rules are lifted for two years while we pull all the players together to REINVENT our entire system for the 21st century. Help California (and the nation) develop a new VISION for what our schools can become by statewide collaborative events that bring parents, teachers, students, and community INTO the process. Excellent public schools for every child in every neighborhood! Oh, that's not what the Students First money is earmarked for? Collaboration is, what did you call it, "over-rated"? Your business backers have another political agenda in mind? In fact, you have your own agenda? Really. Well, I guess we'll all have to think of something else . . . . The State of the Union? Disappointing . . . If we were waiting to hear a bold new direction for school reform, President Obama's State of the Union address on January 25th was a deep disappointment. Nothing new, and even worse, a complete capitulation to the kind of bipartisanship that makes Americans say there IS no choice between the major political parties. The House and the Senate are cordially agreeing among themselves to tinker with No Child Left Behind, completing ignoring the head of steam building up all across the country among those of us who expected "Change" to mean . . . well, "CHANGE"! Now the press is talking all about the cool way the Democrats and Republicans can probably make something happen with NCLB this year. DOWNSIZE and restructure their state hierarchies to put more funding into actual public schools, cutting incredible waste and quite a bit of porkbarreling and corruption too. The public school system in a new incarnation is the only entity in this country that may have a chance of creating the equity we have talked about for half a century (Equal funding and equal technology for ALL kids!). Get rid of meaningless "standardized tests" as indicators of mediocrity and engage teachers/parents/communities in, you'll pardon the jargon, "authentic assessment" of student progress (Creativity AND critical thinking--what a concept!). Restructure funding streams for education to adequately support personalized learning and collaborative, creative training for teachers, integrating and SUPPLYING technology for teachers and students. Surround schools with supportive services that will draw communities toward schools as centers of community life (as rural schools have always done). Schools are the only public entity that people will trust to serve this integrative purpose, thus helping trim down even more duplication of services and waste of resources. All of this is only common sense, a term that I realize is not in the Washington lexicon. Even worse, this administration is sorely lacking in follow-through on its promises, which were for POSITIVE CHANGE, not bashing of our most beloved institution and selling it to venture capitalists. The few simple ideas listed above were what I expected from this administration, a bold new approach to REIMAGINING our public education system. Nothing of the sort is coming out of Washington, however; only more feeble talk about our "Sputnik moment," as though that dated reference were relevant to today's world. Not. Here's the best article I have read all month, by a Columbia University professor who came out first to say "The Emperor has no clothes," a sociological and well-reasoned review of the direction Washington is taking in regard to schools: "Why Bipartisanism Isn't Working for School Reform." Read it; you'll be nodding your head all the way. Then come over to Facebook to join our campaign: http://Facebook.com/ChangeTheSchools ; it's time to suit up and get into the game! Talking about What School Change Means . . . Here's my latest radio interview on KVTA in Southern California, with host Kelli McKay. We laugh a lot because of the absurdity of the situation, but how deeply we need to promote a change of mind about what schools can be is what we talk all about. 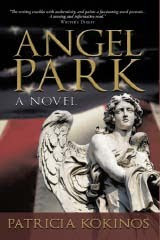 Kelli talks about my book ANGEL PARK, and how radical the book and my ideas seemed barely four years ago when the first edition was published. Now, the ideas are right in the mainstream, thanks to a crescendo of voices from parents to teachers to homeschoolers to systems analysts to professors to journalists to politicians, et al., all calling for a DEEP CHANGE in the way we do school! Clicking the book cover at right takes you directly to my ANGEL PARK page where you can see reviews and awards for the book and link directly to its AMAZON page, so buy it today: It explains everything you need to know about WHY schools are the way they are and HOW we need to change our minds to shift into a new reality for our kids. Then come over to Facebook, by clicking on the BOY WITH BLUE WORLD on his face and join my brand-new campaign to build a new vision for schools. 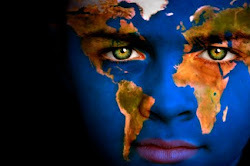 You can read all about it in our "manifesto" at http://tiny.cc/SchoolChangeCampaign, a PDF that you may freely download and send to your own friends. Thanks for helping to spread the word!